At Peter Forg Manufacturing, it has always been our goal to combine the latest technology with unmatched engineering experience to deliver customers precisely what they need. This is no different when it comes to stainless steel discs. We are capable of manufacturing a wide variety of stainless steel discs to suit an equally diverse range of applications, industries, and operating environments. With our state of the art stamping equipment, we're capable of delivering ¼" diameter stainless steel discs to 28" diameter stainless steel discs and every size in between. Whether you need discs that are large or small, simple or complex - producing stainless steel discs with speed, precision, and efficiency is our forte. T304 stainless steel discs: One of the most common varieties of stainless steel disc, T304 stainless steel discs are common for a reason, because they're extremely reliable. T304 stainless steel discs have great resistance to oxidation and rust and are suitable for a number of applications. 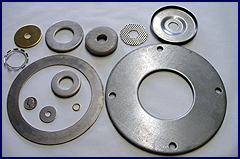 T316 stainless steel discs:While less frequently used, T316 stainless steel discs provide an even higher level of corrosion resistance, especially when it comes to chloride (salt) rich environments. T304l stainless steel discs:T304l stainless steel discs are the low carbon alternative to T304 stainless steel. T304L stainless steel discs combine the reliability of T304 stainless steel discs with low carbon stainless steel that helps provide even greater resistance to wear and corrosion. T316l stainless steel discs:The low carbon version of our T316 stainless steel discs, T316L stainless steel discs are used to provide an even higher level of corrosion resistance. 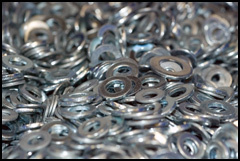 We pride ourselves on offering customers full service solutions when they need stainless steel disc manufacturing. To this end, we offer a variety of value added services to help deliver the quality and precision Peter Forg Manufacturing has built our reputation on. 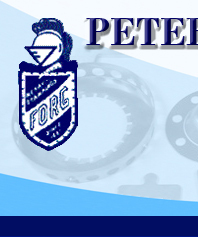 Whether you call them stainless steel discs, circles, slugs, diaphragms, or blanks - the experts at Peter Forg Manufacturing have what you need. Regardless of complexity, shape, or size, you get the stainless steel discs you require on time and at a competitive price. For more information or for a free quote, please don't hesitate to Contact Us today.